℗ 1975 ECM Records GmbH under exclusive license to Verve Label Group, a Division of UMG Recordings, Inc.
"... Hammer especially plays with astounding fire and grace on this session, some of the finest organ playing he's recorded." "Four Stars ... this is a session that has grown in stature with familiarity, an altogether tougher and more resilient label debut than anyone remembers." 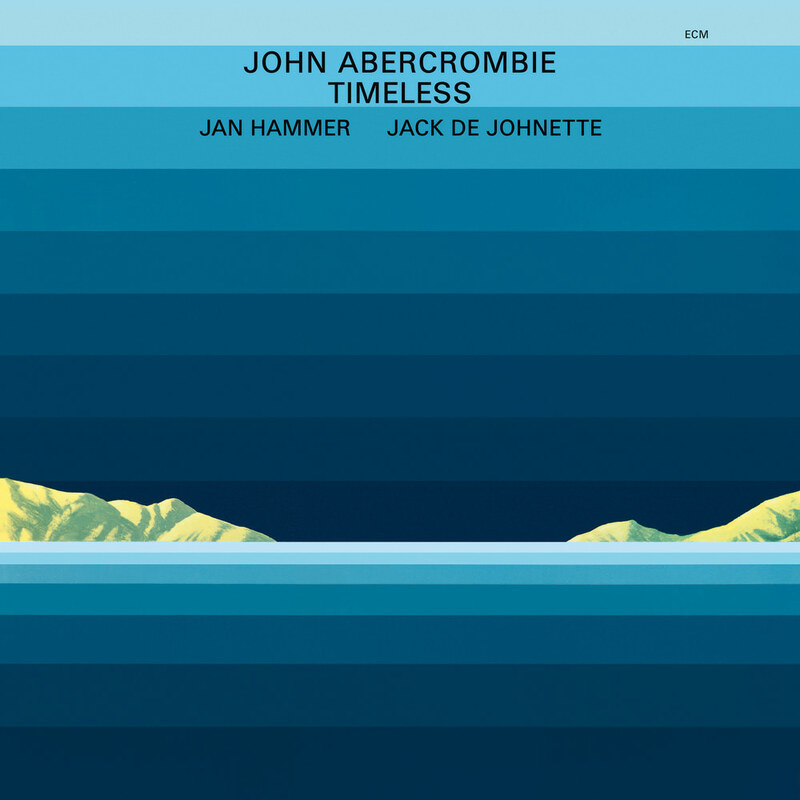 "... (on Lungs) Hammer and Abercrombie trade furious runs ... (the album) belongs to Abercrombie and his compositions ... shows how Abercrombie can create a coherent work out of small pieces ... the monumentally atmospheric Timeless shows the way to the Abercrombie to come ... very heady and spacey ... overall, the album is very moving ..."
John Abercrombie's debut as leader has lived up to its title: the album is a collection of Timeless music, a fiery session with Jan Hammer on keyboards and drummer Jack DeJohnette that sounds as fresh on this reissue as when it was first released in 1975. "When Manfred (Eicher) gave me the opportunity to record Timeless, that was my first real break; it helped me find my own way, because I was basically a John McLaughlin rip-off at the time ..."